Under the 1997 Residential Tenancies Act, residential tenants have the right to the ‘quiet enjoyment’ of the rental property at which they currently reside. Under the Act, people acting on behalf of tenants, such as agents, landlords, or certain tradespeople or contractors, have a right to enter the property under certain circumstances. If these circumstances are not met, the tenant is required to allow them entry at their own discretion. Landlords, agents, or other authorised persons may only enter your residence when the following have been issued or met: •	A notice of Intention to Vacate, or a Notice to Vacate has been given and is set to expire within 14 days. The landlord, agent, or other authorised person may wish to enter the premises in order to show it to a prospective tenant or buyer. They may do so as long as the above notices have been issued and the relevant time constraints have been satisfied. •	The property is set to be sold, or used as financial security for a loan or credit agreement, and the agent, landlord, or other authorised person needs to show the property to a prospective lender or buyer. •	The authorised person is having the property valued – they are able to enter the property for this purpose. •	If the landlord, agent, or other authorised person needs to perform a duty or function applicable to the Residential Tenancies Act 1997 or other relevant law, they may enter the property in order to do so. •	If the authorised person has reasonable grounds to believe that a tenant or tenants have failed to meet their duties as bound by their tenancy agreement, or the 1997 Residential Tenancies Act, then they may enter the property to evaluate that belief and take appropriate action. •	Landlords, agents, and other authorised persons may also enter a premises for the purpose of inspection provided that there hasn’t been an inspection during the last six months and it has been more than three months since the beginning of the current tenancy. In order for a landlord, agent, or other authorised person to enter a premises that is currently occupied, the above conditions must have been met in addition to the following: •	They must provide written notice at least 24 hours prior to the time of their intended entry. This notice must specify their reasons for entry as well as the time at which they intend to enter. •	This notice must be delivered either in person or by post, and it must arrive between the hours of 8:00am and 6:00pm. At least two days should be allowed for postage if the notice is to be delivered via mail. •	The authorised person may only enter the property under the appropriate circumstances between the hours of 8:00am and 6:00pm, and the visit may not occur on public holidays unless prior agreement has been obtained from the tenant/s. •	The authorised person may not stay at the premises longer than is reasonably necessary under the circumstances. If the current tenant has agreed to permit entry within the last seven days, then the landlord or other authorised person may enter so long as they inform the tenant of when they intend on doing so. If all the above criteria have been satisfied, then the tenant is required to permit entry to the landlord, agent, or other authorised person, even if the time of their visit is not ideal or the tenant won’t be home during the visit. With this in mind, tenants are free to negotiate a time that suits them with the landlord, agent, or authorised person. The authorised person is required to act in a reasonable manner upon entering the premises, and they are required to leave as soon as the reason for their visit has been satisfied. If a landlord, agent, or other authorised person enters a residential premises without following the above procedures, it may constitute a criminal offence. All entries by non-residents are required to be made upon the basis of a reasonable excuse and appropriate procedure as laid out under the Residential Tenancies Act 1997. If the property is damaged during a visit by the landlord, agent, or authorised person, that person is liable for the damage and may be required to provide compensation to the tenant/s. In the event that a landlord, agent, or authorised person has been making harassing or overly frequent visits, you may apply to VCAT (Victorian Civil and Administrative Tribunal) for a Restraining Order to prevent them from doing so in the future. This may also be relevant if the person has repeatedly failed to meet the notice requirements and other formal requirements outlined above. Letters, phone calls, and other correspondence that may reasonably be construed as being harassing in nature also constitutes a breach of the tenant’s right to quiet enjoyment of their residence, and therefore may also provide grounds for obtaining a restraining order against the person making that correspondence. Restraining orders prevent the relevant individual from entering a certain property and/or contacting a certain person (namely, the tenant). Restraining orders can be enforced by police, and a breach of a restraining order is a serious offence that is likely to result in criminal proceedings. If an agent, landlord, or authorised person consistently and persistently exhibits harassing behaviour towards a tenant, that tenant may decide to terminate their residency and move out of the property. If the tenancy is not bound by a fixed-term agreement, the tenant is simply required to provide the agent or landlord with 28 days written notice before moving out. If the tenancy is bound by a fixed-term agreement, such as a lease, then the tenant is required to serve a 14-day breach of duty notice to the landlord or agent. If they refuse to comply with this notice, the tenant may seek enforcement by obtaining a compliance order from VCAT. If the harassment persists, tenants are advised to take legal action or obtain events from the residential tenants union that serves their area of residence. In the event of such unfortunate circumstances, the tenant may be eligible to receive compensation for inconvenience, loss, or damage resulting from the failure of the landlord, agent, or authorised person to respect the tenant’s right to quiet enjoyment. Tenants are required to give their landlord or agent a copy of any new keys they have cut for locks installed after the commencement of their tenancy. Changing locks is not recommended as a means of securing privacy or the right to quiet enjoyment, it is always best to enforce these rights through the appropriate legal and civil channels designed to protect them. Tenants are restricted from changing any locks that are part of the premises’ master key system, such as may be found in a block of flats or apartments. If the landlord or agent agrees to such a change, the tenant may do so. But it is unlikely that they will obtain such an agreement. Tenants should note that landlords, agents, and authorised persons are prohibited by law from locking tenants out of a premises unless they have obtained a warrant of possession. Warrants of possession must be enforced by the police. Apply to the police or VCAT if you have been unjustly locked out of your premises. You may need to apply for a restraining order to stop the offender from locking you out again. In the event that a tenant is illegally locked out of their premises, they may incur costs for accommodation, travel, food, and other expenses as a result of being locked out of their premises. In this case, the tenant is likely eligible for compensation and should take legal action against the offending party. Under the Privacy Amendment (Private Sector) Act 2000, real estate agents and landlords must comply with strict privacy protections applicable to the confidential information of their tenants. This legislation prevents agents and landlords from using the confidential information of their tenants in certain ways, including: •	They may not disclose or use the personal information of a tenant or tenants for any purpose other than those related directly to their dealings. •	They are required to take all the reasonable steps to ensure that your personal information is kept secure. •	Tenants must be informed of what kind of personal information is being stored. Professional Conduct In Victoria, all real-estate agents are required to adhere to the Estate Agents (Professional Conduct) Rules 1997. 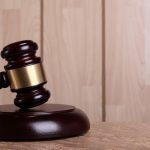 These rules prevent real-estate agents from acting in an unscrupulous manner, and set out a range of procedures considered to be the industry standard for good conduct. If tenants have any concerns about conduct or behaviour exhibited by their estate agent, they may refer to these rules in order to determine whether or not it is appropriate to take some sort of action against their agent. LGM Advisors is a leading Melbourne law firm, professionals in building contract law. LGM Advisors have the skills, experience and expertise to ensure that you and your contract matter is consulted upon with the utmost professionalism. Contact LGM Advisors and speak to a contract lawyer today on (03) 9832 0608 or by email at marketing@lgmadvisors.com.au. A guarantor is a party to a transaction or credit agreement who voluntarily takes responsibility for ensuring the payment of another party’s debts in the event that they fail to meet their obligations to the vendor. For legal intents and purposes a guarantee refers to a written statement by the party acting the guarantor which states that the party receiving the loan or credit will meet their obligations as outlined in the credit agreement. Guarantors are bound by an enforceable contract which requires them to meet the debtor’s credit obligations in the event that they are unable to do so themselves, which means that the decision to act as a guarantor should not be taken lightly. In the event that the debtor fails to meet their obligations, the guarantor is often required to pay the amount owed right away, or they are likely to face litigation in an attempt by the creditor to secure the funds owed. In recent years, there have been several high-profile cases where guarantors have managed to avoid paying funds owed to creditors. These cases, and others like them, often result from a guarantor being able to prove in court that they were not aware of their obligations to the creditor in the event of a debtor default. These cases of guarantors escaping their credit obligations have raised suspicion among lenders and in many cases they have amended the agreements they make with guarantors and debtors to reflect this. This means that guarantor contracts are more likely to be enforceable in court, as creditors are taking extra steps to ensure that their agreements are enforceable. Before signing a guarantee, parties intending to act as guarantor should obtain the following documents from the creditor: •	A copy of the loan agreement that the person receiving the credit intents to sign. •	A thorough outline of what is expected of the guarantor as part of the agreement. Lenders are obligated to ensure that guarantors and debtors fully understand the nature of their obligations under the credit agreement, and the ramifications of failing to meet these obligations. If a lender fails to take these steps, or fails to produce written evidence that demonstrates the understanding between the parties, the contract between them and the guarantor may not be enforceable. It is also very important that the guarantor understands the transaction to which they have agreed to maintain responsibility. Several things are especially important for potential guarantors to be mindful of, including: •	The extent of securities held by the creditor, •	Whether or not the debtor is or has been in default on any other agreements, •	Whether or not the debtor has any history with the prospective lender, •	If the debtor is a business owner, it is important to be aware of the strengths and weaknesses of their business in order to determine whether or not it is likely to earn back the funds owed under the credit agreement. Potential guarantors would likely benefit from having an accountant examine the financial records and history of the prospective debtor. Guarantors are able to negotiate limits to any guarantee they are willing to supply on behalf of the debtor, including in terms of both the amount of funds they are willing to offer as part of the arrangement as well as the timeframe for their guarantee. It is a good idea to specify a limit to your guarantee, for example, informing the other parties that you are willing to guarantee the loan amount and interest only, and not any future advances or loans made as part of the arrangement. 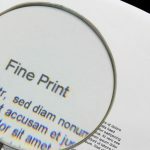 Recording these details in writing assists in enforcing your rights should a dispute occur. All accounts guarantees are made by a guarantor who agrees to cover all the costs owed by a debtor to the creditor at any point in time, including costs that relate to the following: •	Other loans or debts •	Overdraft/overdraw fees •	Chattel leases •	Credit cards •	Miscellaneous moneys owed as part of the agreement All accounts guarantees include money that may not have been a part of the original debtor/creditor arrangement, or that may not have been directly specified in the original credit contract. Wherever possible, guarantors are advised to limit themselves to a fixed guarantee in order to reduce the risk posed to themselves, as well as the creditor and debtor in the event of a default by the debtor. In most cases lenders will specify whether they require a guarantee to be secured or unsecured. A secured guarantee is when the creditor requires the guarantor to take out a mortgage over some part of the guarantor’s personal property in order to make their guarantee more enforceable. Unsecured guarantees simply omit the mortgage requirement and go without the added security it provides. There are certain key indicators which reflect whether or not a creditor is likely to seek a secured or unsecured guarantee: •	Whether or not the debtor is able to provide some sort of security for the event they are unable to meet their credit obligations. •	The relative credit risk currently associated with the debtor. •	The relative income and value of assets held by the party acting as guarantor. Even where guarantors have become party to an unsecured guarantee, their personal property may still be used to meet the guarantee under certain circumstances. In order to liquidate your personal property to recover the debt, the creditor would need to obtain a court ruling against you which allows them to do so. What happens should a debtor default? The purpose of the guarantor arrangement is to secure the ability for the creditor to recover the funds loaned to the debtor, even if the debtor fails to make certain repayments on time etc. Any party considering acting as guarantor should remember that the creditor may pursue the guarantor for any funds owed by the debtor, even if the debtor is not pursued themselves. Guarantors are ultimately responsible for the repayment of the debt, and as such, they should be wary not to enter into any guarantor arrangement with a debtor they don’t trust. What happens if the guarantor is unable to remedy a default by the debtor? In the event that a debtor defaults, and the guarantor is either unwilling or unable to comply with the terms of the original credit agreement, namely agreeing to remedy such defaults as specified in the original loan, then they are liable for the damage resulting to the creditor and may face litigation. If the court is unable to enforce the original contract, which would require the guarantor to pay the amount owed plus any other costs such as interest, then they may order that the guarantor’s personal property be liquidated in order to meet the creditor’s requirements. LGM Advisors is a leading Melbourne law firm, professionals in contract law. LGM Advisors have the skills, experience and expertise to ensure that you and your contract matter is consulted upon with the utmost professionalism. Contact LGM Advisors and speak to a contract lawyer today on (03) 9832 0608 or by email at marketing@lgmadvisors.com.au. In order to lodge a complaint under either state or federal law, the relevant conduct must fall within: •	The formal definition of discrimination as outlined in relevant legislation •	The conduct must reflect one of the specific grounds as outlined in the legislation •	The conduct must pertain to one of the key areas outlined in the legislation. Two types of discrimination are recognised as being unlawful – referred two as direct and indirect discrimination, both reflect a general tendency within Australian law which seeks to prevent an individual being treated ‘less favourably’ than they otherwise would be based on a certain attribute or feature of that individual, such as ethnicity or gender. An example of direct discrimination could include any case where an employer fails to hire an individual purely on the basis of their appearance, or another specific trait which that individual possesses. Indirect discrimination generally constitutes any institutional procedures or policies which disproportionately affect different groups of individuals, to the detriment of one or more of those groups. At present, Victorian employees who are subject to unfair dismissal, discrimination, or harassment during the course of their employment may be protected by elements of both state and federal legislation. When making a claim, the plaintiff is only allowed to claim on the basis of one law. Your lawyer will be able to assist you in determining which one providers the greatest chance of your case being successful. There are several key differences between state and federal legislation in their implication for claimants, including: •	It is more difficult to have claims heard and enforced under federal law. 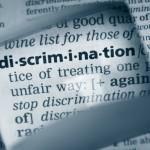 •	Under federal anti-discrimination laws, claimants have up to 12 months from the date of the offence to lodge a claim. Under Victorian state law, they have only six. •	The amount of compensation offered to victims of discrimination is greater under federal law than state law. •	In some circumstance state anti-discrimination laws do not apply, for example, if you are lodging a discrimination complaint against a federal government employer or department. The following steps are involved in the complaint filing process: •	Issuing a written complaint to the relevant commission, in some cases in the form of a pre-filled template. •	The relevant commission will then investigate the complaint. •	Attempts to resolve the dispute through conciliation or mediation may be attempted so that a private settlement may be reached. •	Should resolution remain out of reach, the relevant commission will carry out a tribunal hearing of the case. The tribunal will issue a verdict on the matter, either: •	Dismissing the complaint, or •	Ruling that the complaint is reasonable and can be substantiated, resulting in the issuing of orders such as an order for the payment of compensation. Success in your discrimination case rests on the experience and professionalism of your legal counsel. Choosing a lawyer who understands the relevant law, understands the documentation required during the complaints process, and has knowledge of what constitutes an ‘acceptable settlement’ is key to having a discrimination case settled in your favour. For legal purposes, a contract is an agreement made between two or more parties which can be enforced through the Courts and other legal apparatus. Generally, an enforceable contract is based upon some exchange between the two parties, which was agreed upon either formally or informally and which is subject to certain terms. These terms are often the subject of litigation should a contractual dispute occur later. Most contracts are made between parties to commercial transactions, often involving the transfer of consideration in the form of goods or services. In such a case, the contract is based upon an agreement between the parties regarding what is to be exchanged, and the terms of its exchange. It is a commonly held misconception that a legally binding contract must be some sort of formal legal document, often drafted by a lawyer or legal professional. This is not the case. Contract law simply governs the agreements private parties come to with each other in a way that enforces these agreements in order to prevent wrongdoing, such as fraudulent activity. 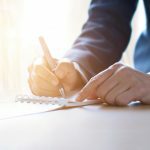 This article will take you through the process of contract formation so that you are aware of your consumer rights / Consumer Protection Law as well as your broader rights under contract law as it applies here in Melbourne and Victoria. For example, you may have purchased some goods in a shop. In this case, the offer is made when you take the goods to the checkout and proceed to purchase the items. If you are at an auction, each bid constitutes an offer. The winning offer is accepted when the auctioneer says ‘sold’ or brings down the hammer. For legal purposes, consideration is something of value which can be exchanged as part of an agreement or transaction. Common forms of consideration that form part of legal contracts are money, goods, and services. In most cases, money, goods, or services do not need to change hands in order for a contract to be formed. In most cases, a promise to pay consideration is sufficient to form a contract. In most cases, the court will not view agreements made between family members or close associates as being made with the intention to enter legal relations. However, in commercial situations, this is usually to understood to be at the core of most relationships and agreements. Therefore, if you promised a family member that you would pay them a certain amount and failed to do so, the court may rule that a contract does not exist as you did not intend to form legally binding relations. However, if you promise a company that you will pay for certain goods, then the court will almost certainly rule that a contract exists. Legal capacity refers to the ability for an individual to rationally understand the legal implications of any processes they may be involved in. Courts will generally not enforce contracts that include one or more parties who lack legal capacity. This means that they are cognitively different from the norm, and therefore should not be treated as normal parties to a civil agreement. Perhaps the most common examples of cases that involve parties who lack legal capacity are contracts that involved minors without parental consent or contracts that were made during intoxication or other mental impairment. Contracts do not need to be in writing to be enforceable. As long as the terms of the agreement can be proven to have come into existence between the parties, a contract has been entered. However, in the interests of the public, parliament has enacted certain policies which require contracts to be issued in writing under certain circumstances. Most commonly, contracts for the sale of real estate, land, or properties are required to be formalised in writing. In some states, the sale of a motor vehicle must be issued in writing. Generally, all other transactions do not need to contain a written record in order to constitute a binding contract. Having a written record of the agreement made between parties certainly does make the contract easier to enforce however, which is why many service providers or retailers draft written contracts which they require customers to sign. For the same reason, it is advisable to create a written document that contains the terms and conditions of any transaction of considerable value. This document should be signed by both parties to the transaction. Generally, you are bound by the terms of a contract so long as its terms are lawful and were agreed to with your full knowledge and understanding of their content. Your lawyer can advice you as to whether or not the terms of a particular contract are lawful. Additional protections exist for Victorian consumers as part of the Goods Act, which protects consumers from fraudulent or deceptive conduct by retailers and companies. Speak to your lawyer about how these may affect you if you believe you have been wronged. Generally, you can return something you have purchased and receive: •	A cash refund equivalent to the amount you paid. •	Replacement or repair of the goods, if they are found to be defective. In the following cases, you are not legally entitled to a refund. However, retailers may offer a refund at their own discretion: •	You purchased the wrong goods, e.g. wrong size, colour etc. •	You have changed your mind and decided post-purchase that you no longer required the goods. LGM Advisors is a leading commercial law firm in Melbourne, experts in consumer protection law. LGM Advisors have the skills, experience and expertise to ensure that you and your consumer protection law situation is consulted upon with the utmost professionalism. Contact LGM Advisors and speak to a contract lawyer from Melbourne today on (03) 9832 0608 or by email at marketing@lgmadvisors.com.au. Deciding whether or not to proceed with Commercial litigation? Legal disputes are often costly, time consuming affairs for all involved. Even if you win your case, you are likely to expend a lot of time and energy doing so. Our legal professionals pride themselves on exemplary customer service and efficient legal solutions for all our clients. With this in mind, it is part of our job to assist you in understanding the legal process and its associated costs, benefits, and alternative approaches to commercial litigation. Litigation, or court proceedings, is not the only way to settle a legal dispute. We have a variety of dispute resolution methods in which we can work with you to overcome a dispute outside of court, which is likely to save you time and money. However, in some cases, commercial litigation is the only way to proceed. So it is important to have at least some understanding of the litigation process before you decide to commence proceedings or respond to a claim by another party. First, let’s go through some of the alternatives to litigation. Mediation is a tried and tested means of resolving a large variety of legal disputes outside of court. The mediation process consists of structured negotiation between the disputing parties with the assistance of an independent third-party. Your lawyer can assist you in deciding whether or not to pursue mediation as an alternative to litigation. We can also advise you throughout the process to ensure that your interests are adequately represented during negotiation. The mediation process usually begins with a preliminary meeting, where the disputing parties come together and brief the mediator about the dispute. During this preliminary meeting, your legal counsel and mediator will work with you and the other party/s to create a dispute resolution plan, which sets out key objectives, timeframes, methods of correspondence, and dates for future mediation sessions. Once the process is underway, you will engage in a series of mediation sessions which consist of guided negotiation between you and the other party. The mediator will work with you by giving open statements based on the facts provided in order to draw the negotiating parties towards a mutually acceptable resolution. 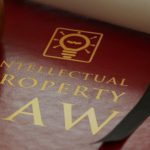 In legal terms, negotiation is basically an informal method of dispute resolution which involves informal discussion between the disputing parties in an attempt to reach a resolution. As your legal advisers, we are able to represent and/or advise you during the process of negotiating with the other party. Similar to mediation, conciliation is a formal dispute resolution process that utilises the services of an independent third party in order to facilitate dialogue between parties. Some cases require the disputing parties to attempt conciliation before litigation can be commenced (employment law disputes are a common example). Arbitration is perhaps the most comprehensive and resolute alternative to civil litigation. It involves both parties submitting their respective cases to an independent third party, the arbitrator, for consideration. Once the arbitrator has made a decision, they hand that decision down to the parties. The decision handed down by an arbitrator must be respected by both parties. Our legal professionals will assist you in building a case should you experience a civil dispute with another party. We may make suggestions for further information that we need you to obtain, or we may contact the other party on your behalf should you ask us to do so. Once we have worked with you to build a case, we will begin to advise you on the best course of action to resolve it. It may be that alternative dispute resolution is the best method, and if it is, we will let you know. We believe in saving time and money for our clients. We know from first-hand experience how time consuming and draining the litigation process can be. 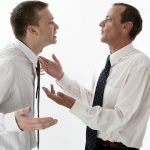 In cases where an ongoing business or personal relationship exists between the parties to a dispute, it is best to pursue an alternative method of dispute resolution instead of litigation. Litigation is a stressful and costly process that will place an enormous strain on even the strongest relationship. We take care to advise our clients of this where appropriate. Court proceedings are expensive, and risky, as you have less influence over the outcome. We can give you a detailed approximation of the costs involved in pursuing your case in court, as well as an estimate of how much an alternative such as mediation would cost. In cases where you urgently require a dispute to be resolved, litigation may be the best option, especially if the opposing party is reluctant to negotiate. Over recent years, the time involved in the average civil court case has decreased significantly. However, litigation is still a lengthy process. We can give you an estimate of how long it is likely to take for a court to resolve your dispute. Informal methods of dispute resolution can be difficult to enforce, unless a formal contract is entered into by both parties following the end of negotiations. Court settlements on the other hand are absolute and easily enforceable. Outcomes obtained through formal dispute resolution processes such as mediation, arbitration, and conciliation are generally easy to enforce as well. Most court proceedings are open to the public. This may be an issue for you based on the nature of your case. In our legal system, a decision handed down by a higher court is binding in lower courts. If your case is of the nature that you would like to set a precedent, then litigation is the only way to do so. LGM Advisors is a leading Melbourne commercial law firm, professionals in commercial law and dispute resoltution. LGM Advisors have the skills, experience and expertise to ensure that you and your dispute is consulted upon with the utmost professionalism. Contact LGM Advisors today on (03) 9832 0608 or by email at marketing@lgmadvisors.com.au. Business contracts form the basis for the legal relations between business parties, companies, and clients. A contract is a legally binding document which sets out the terms of an agreement and details the products, services, or other payment to be exchanged under the agreement. 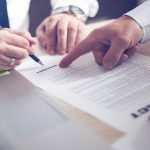 They also establish a timeframe for any associated dealings and contain provisions that protect against misunderstandings or disputes over the agreement. 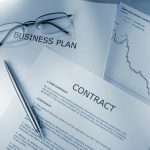 Business contracts usually contain provisions with legal remedies to be used in the case that one party does not honor their contractual obligations. The following tips can be used to make sure that you get your contracts right, protecting you and your business or company from the fallout which results from flawed or void contracts. Sample contract templates are available all over the internet, so you should be able to find one which is relevant to your business or area of operations. This is a good way to start, as it makes sure that the structure and language used in the contract is legally correct. Contracts are important and powerful documents which bind parties together into a legal relationship, with associated benefits and repercussions for any breaches. As a result, for a contract to be legally binding (able to be enforced through the courts), all parties to the agreement must have the right to enter legally binding relations. Minors, or those under the age of 18, are generally unable to enter enforceable contracts. There are some exceptions, such as for employment contracts or basic sales contracts. In the case of more complex contracts, a parent or guardian is usually required to enter the agreement on behalf of the minor for whom they are legally responsible. Mental capacity – all parties to a binding contract must have adequate mental capacity and cognitive ability to clearly understand the contract, its terms, and its provisions. Besides the obvious case of mental impairment or illness, mental capacity is likely to be insufficient in those suffering from intoxication or substance abuse problems. This provision prevents the exploitation of certain disadvantaged parties by voiding any contracts which they may have agreed to as a result of impairment. Willingness to enter a legally binding relationship – In order for a contract to be legally enforceable, its parties must all be aware of the fact that they are entering into a legally binding relationship and will be beholden to certain terms and conditions upon signing the contract. For a contract to be legally binding, something of value must be exchanged in return for something else of value. In legal terms, this payment or service is known as ‘consideration’, and a binding contract cannot exist without clearly identified consideration. For example, a business which sells goods to consumers often purchases their stock from a manufacturer or supplier. In order to guarantee the consistency, quality, quantity, and delivery conditions of the goods, the business will enter into a contract with the supplier or manufacturer. In this case, the consideration being paid by the business is in the form of money, and the consideration offered by the supplier or manufacturer is certain goods or supplies. All parties must be clearly aware of the consideration involved in an agreement in order for the relevant contract to be enforceable. A contract which contains an agreement which requires any party to do something illegal is automatically void and unenforceable for obvious reasons. You should make sure that your contract does not contain any terms which could contravene the law, including unfair terms legislation which was introduced throughout Australia a few years ago. If you are unsure, you should consult a legal professional for assistance. A solicitor can review a contract before you enter it, and can write a draft if you are unsure of how to word your document. Remember, for a contract to be enforceable, an offer of consideration must have been clearly made and clearly accepted. All parties to a contract should have the same idea about the function of the agreement. If a contract does not suit the requirements of all the involved parties, it should be modified in consultation with the relevant parties. 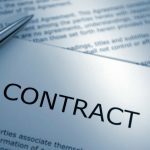 Doing so will decrease the likelihood of any disputes, and ensure that the contract is binding. Never attempt to include terms in a contract which unfairly impact another party, as you may face legal action under Commonwealth fair terms legislation as a result. Prepare a draft contract, or have a solicitor prepare a draft for you. Ensure that both the party making the offer and the party/s accepting the offer agree to all of the terms set out in the document. The accepting party may offer alternate or additional terms, this is known as a counter offer, and can be negotiated and included in the final document upon agreement by both sides. Ensure that you attend any meetings in good faith – that is, try and understand that both sides should be willing and eager to accept all the terms within the contract. This is good business conduct and will ensure that the likelihood of dispute is minimal. Always maintain an honest and fair attitude when engaging in negotiations. Verbal agreements can sometimes create a legally binding relationship. In order for a verbal agreement to be enforceable, you must be able to prove that the agreement took place and that it satisfies legal requirements. For example, a business seeking to purchase stock from a supplier may agree to certain terms over the phone, thus creating a legal contract. It is always a good idea to get a contract in writing, as this will prevent confusion and ensure that all parties are well aware of their contractual obligations. If you want to avoid entering a verbal contract by accident, ask for a written statement whenever you are negotiating with other business parties or clients. When drafting a contract, you should always start by writing the date at the beginning of the document as well as the names of all the parties involved. Any other identifying information you might want to include, such as business designation or title, should be included here. When writing a contract on behalf of a company or business, write the business name as well as the names of the individuals who are authorized to carry out the contract on behalf of the company. This could be the director, president, or CEO for example. Avoid using tricky legalese type language, as a court will always examine the case according to how they believe the contract could be interpreted by the ‘average person’. Be concise. Do not include superfluous details which are not important to the agreement itself. Focus on what is being exchanged, by whom, and the terms of this exchange. Include acceptable methods of payment or procurement for any consideration involved in the agreement. For contracts involving the sale of land or real estate, include a description of the property as well as its location/address. You may need to contact your local records office to obtain a legal description of the property. For goods or services, include a detailed description of the items, including model, colour, size, delivery date, cost, and any other relevant details. Describe any services which are to be performed and specify who will perform said services and for whom, when, and where they will be performed. If you don’t want the other party or parties to share information contained in the agreement with anyone else, you can include a confidentiality clause which stipulates the agreement not to share details with outside parties. Confidential information which you might wish to protect could be things like sales plans, recipes, marketing strategies, or payment information. It is common practice for employers to include a confidentiality agreement in employment contracts as employees often have access to confidential information. If the other party to your agreement will not be exposed to any sensitive information, then there is generally no need to include a confidentiality clause. A good contract will include information about what to do if the contract is breached. For example, who is liable to pay legal fees in the event of a breach, and a legal remedy for the breach. It is a very good idea to add a clause which provides alternative dispute resolution provisions. Alternative dispute resolution practices include mediation, conciliation, and arbitration. These are affective and less confrontational methods of resolving legal disputes. Utilising these methods can save all parties involved time and money by avoiding the court process. When drafting a contract, you must specify a timeframe and how long the contract is expected to last. For one-time transactions, state that the contract will be terminated once the exchange of consideration is complete. If the contract is based on an ongoing relationship, state a set of terms under which the parties can terminate the contract should the need arise. A good contract allows for termination if one party violates their contractual obligations. Termination notice should also be included, for example, you may wish to have two week’s notice in the event of a potential termination. If the contract is successfully performed by both parties, without breaches, termination will occur automatically. This can be interpreted from the basic terms of the contract. In Australia, there are a wide range of laws affecting various industries and activities. Make sure that you research the legislation affecting your business dealings. For example, contracts for the sale of land or real estate must be written in order to be enforced. Employment contracts must include provisions detailed under any industrial awards, enterprise agreements, or workplace instruments affecting that particular employment scenario. A legal professional can verify that your contract is enforceable and that it does not contravene any relevant laws. They can also assist you with the wording of the agreement and important sections such as the termination clause. A lawyer is also able to advise you of available remedies to be referred to in the event of a breach of contract. When the contract has been drafted, ask the other party to review it. Ensure that they review its terms and conditions thoroughly to prevent misunderstandings. If the other party makes a counteroffer, consider it carefully and determine how it might fit in with the rest of the contract as well as your business goals. If the other party is taking a long time to accept an offer, you are able to revoke that offer before it is accepted. Once an offer has been accepted, it is unable to be revoked. Once signed, a contract can be legally enforced through the legal system. This means you are bound to its terms, and must perform them according to the agreement set out in the contract. If you happen to breach the contract, a court could order you to enforce the contract. Known as ‘specific performance’, this would require you to perform your obligations or face penalties. A court may also award monetary damages to the aggrieved party, or defer the case to an alternative dispute resolution service. LGM Advisors is a professional Melbourne Commercial Law firm, professionals in contract law. LGM Advisors have the skills, experience and expertise to ensure that you and your contract matter is consulted upon with the utmost professionalism. Contact LGM Advisors and speak to a contract lawyer today on (03) 9832 0608 or by email at marketing@lgmadvisors.com.au. 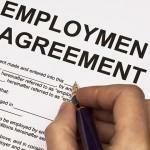 Employment law deals with workplace issues such as wages, termination, and discrimination. The law is in place to protect workers, and ensure they are being treated fairly by employers. Contracts are sensitive and complex binding agreements by multiple parties. Whether you are looking for writing, evaluation, or explanation of a contract, or are looking for legal expertise pertaining to breach of contract we can help. Dispute resolution services can range from alternative dispute resolution to litigation. Alternative dispute resolution is working through mediation and arbitration services to attempt a compromise between disagreeing parties.